Yes, it is extremely tempting to just grab those tweezers, pluck out the hair, and pretend like it never happened. There’s just one problem: It will grow back, and you might create irreversible damage to your hair follicle in the process. If you just can’t stand the sight of it for one more second, cut it out carefully. However, you are better off waiting to talk to your colorist. Once you do make it to the salon, you need to ask some questions. Pick your colorist’s brain to find out what the best choice is for your hair and your situation. Should you get a permanent color, or one that will gradually fade so you don’t have a harsh grow-out line (just in case you don’t make it back right on schedule)? How much maintenance is your chosen route going to require? Does that fit in your budget and/or schedule? Is there anything you can do at home to extend the time between colorings? Once you feel completely informed, make a decision and don’t look back. Finally, you can’t rely on your regular conditioner to get the job done. Gray hair tends to be a lot coarser than your natural color, so it is going to need a deeper conditioning treatment once per week. Ask your stylist which one she recommends that will work well with your new color and commit to using it. Even though your first gray hair showing up may seem like a huge deal, take it as a sign of all of the wisdom you have gained in life so far. And don’t worry, because with a little help from your colorist, no one ever needs to know it is there. Everyone gets to this point at some time or another. Whether you choose to embrace the gray and make it your statement hair hue, or visit the salon for a refreshing change (didn’t you want to try that gorgeous caramel chestnut anyway? 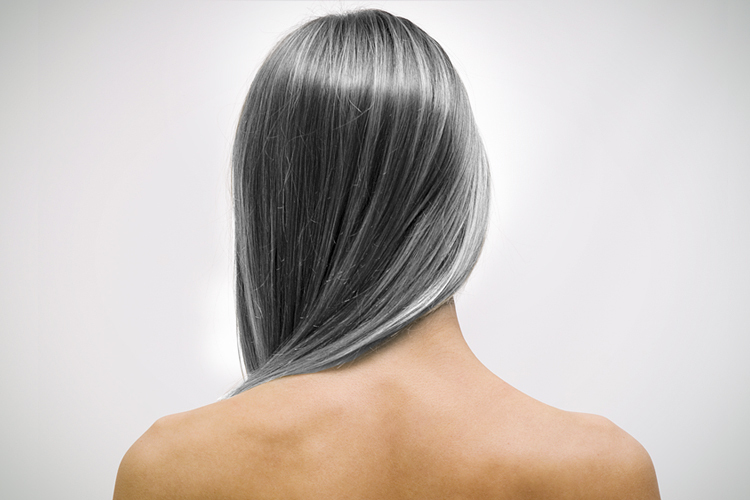 ), chances are if you carry yourself with confidence, your new gray strands should have no affect on your well-being. However, we at Vagaro think that this is a great excuse to head on over to a hair professional and sit down with a thorough consultation. Perhaps this is a sign that you should try out a new look! Experimentation is fun at any age.